As many people obtain their historical knowledge from movies and books, I find it important to be as accurate as possible with my writing. I’m also a history lover who has a bit of an obsession with accuracy and details. My husband claims I’m a bit of a perfectionist. Although I usually deny his accusations – vehemently – he may have a point in regard to historical details. Writing a historical fiction novel is, therefore, an exercise in research as well as a labor of love for me. included university professors and which year the law was enacted. Those are the kind of details I needed to research about German history. The majority of the novel plays in Istanbul and researching Turkish history was an entirely different kettle of fish. Although I like to think I have more knowledge of Turkish history than the average joe as I lived in Istanbul for two years, my knowledge of the country during the Second World War was severely limited. Researching Turkish history turned out to be incredibly difficult. Hardly any materials can be found in English and the accuracy of information on the Internet is suspect. I actually put off writing this book several times due to these issues. Then, I literally stumbled upon Murder at the Pera Palace by Charles King at a used bookstore. This non-fiction account of the birth of modern Istanbul was the real start of my research into writing Searching for Gertrude. After devouring this book, I found I had more questions than answers. Again, the internet was no help as there were either no answers to questions I posed or there was conflicting information. Finally, I discovered a non-fiction treatise written by a German professor of Turkish studies that had been translated into English. Turkey, the Jews, and the Holocaust by Corry Guttstadt was my saving grace. Not only is the book chockfull of information, but it is well annotated allowing me to research any further questions I had. Even with the two wonderful books mentioned above, I couldn’t have finished this novel without external help. Many of the primary sources Guttstadt refers to are in Turkish. Lucky for me, my husband is still working in Turkey and was able to connect me to colleagues of his who were willing to help me puzzle things out. This is when my attention to detail became a stumbling block. For example, I quote the morning call to prayer in the novel. However, I was aware that there was a short time in which the adhan was performed in Turkish. But what years? And what were the exact words of the adhan in Turkish? In the end, I spent seven months researching and writing Searching for Gertrude. This may not seem long to some people, but I write full-time and usually finish a novel in three months. Spending more than double that time was a huge endeavor for me. Although I’m returning to the murder mystery genre for my next novel, I already have several historical fiction novel ideas floating around in my subconscious. Who knows what idea will come to fruition? I grew-up reading everything I could get my grubby hands on, from my mom's Harlequin romances, to Nancy Drew, to Little Women. When I wasn't flipping pages in a library book, I was penning horrendous poems, writing songs no one should ever sing, or drafting stories which have thankfully been destroyed. College and a stint in the U.S. Army came along, robbing me of free time to write and read, although on the odd occasion I did manage to sneak a book into my rucksack between rolled up socks, MRIs, t-shirts, and cold weather gear. After surviving the army experience, I went back to school and got my law degree. I jumped ship and joined the hubby in the Netherlands before the graduation ceremony could even begin. A few years into my legal career, I was exhausted, fed up, and just plain done. I quit my job and sat down to write a manuscript, which I promptly hid in the attic after returning to the law. But being a lawyer really wasn’t my thing, so I quit (again!) and went off to Germany to start a B&B. Turns out being a B&B owner wasn’t my thing either. I polished off that manuscript languishing in the attic before following the husband to Istanbul where I decided to give the whole writer-thing a go. But ten years was too many to stay away from my adopted home. I packed up again and moved to The Hague where I’m currently working on my next book. I hope I’ll always be working on my next book. As usual, the clerk rushed out of the room as soon as it was lunchtime the next day. Rudolf waited until the other administrative workers had left, and then he waited an additional five minutes to make sure no one was coming back. He didn’t sneak over to the clerk’s desk. He strolled over as if he had business to which he needed to attend even as his palms sweated and his heart beat erratically. He tugged on the drawer to ensure it was locked before pulling the letter opener out of his pocket. He looked around to ensure he was still alone before kneeling in front of the drawer and sticking the letter opener in the tiny lock. With only a bit of jiggling, the lock clicked open. As quietly as he could, Rudolf pulled the drawer open and peeked in. Sure enough, the cabinet keys were sitting in the tray on the top of the drawer. He slid the drawer closed and went to stand. That’s when he realized his mistake. The drawer had to be locked when the clerk arrived. Otherwise, he would immediately assume something was wrong. Rudolf kneeled in front of the closed drawer and once again stuck his letter opener in the lock. If the letter opener could unlock the drawer, it stood to reason it could also lock it. It took quite a bit of fiddling made worse by his shaky hands before he felt a click. He heard the clacking of boots on tile and jumped to his feet while thrusting the letter opener in his pocket. The sound came closer. He didn’t have time to check the lock was engaged. He rushed in the opposite direction of the approaching person, entering the hallway on the far side of the office. He walked to the toilet and waited until he was locked in a stall before he dared to take a breath. He leaned against the stall door and took deep breaths while his heart slowly went back to its regular rhythm. After he managed to gain some semblance of calm, he splashed cold water on his face before returning to his desk where he waited for the clerk to arrive. Was the desk drawer locked? Would the clerk know someone had tampered with the drawer even if it was locked? It took all of Rudolf’s willpower to not constantly glance at the clerk’s empty desk. When the clerk finally arrived, Rudolf tilted his chair in the clerk’s direction and waited with bated breath. But nothing happened other than the clerk unlocking his desk after sitting down. Rudolf waited for the man to notice things were amiss. It took several hours before he realized the clerk was not going to notice anything, and he could relax. He could breathe for the first time since lunch and got back to work. * I usually avoid Kickstarter projects. This however is one I strongly believe in, not only because I am a huge fan of Victoria's writing but also because her stories are such, so high quality that they stay with you. Are you looking for a story that’ll make you feel the lush beauty and thrill of true love, while taking you on a pulse-pounding journey through history? BREATH is what you’ve been waiting to read. And to experience. Because you can be a part of bringing this story into existence. Imagine if you’d been there when Suzanne Collins was writing The Hunger Games or Stephanie Meyer was writing Twilight. When George RR Martin was penning Game of Thrones. You might have lived the story through advance copies and maybe a conversation or two. When you join me on BREATH, you can receive advance copies, artwork, photographs, and short, BREATH-inspired love stories that only a handful of readers will ever lay eyes on. You will receive regular updates from me about how BREATH is coming to life. Nif and Sherin are Ninti. They share a deep and powerful devotion that puts them both in mortal danger, while propelling them towards an extraordinary fate that ensures they will live infinite human lives...and suffer an equal number of deaths. Together they must solve a mystery that spans the ages, or risk losing one another forever. BREATH is a story of lovers, killers, curses and destinies. It's about the people who lived history, but it's also a tale of those who unearthed history in order to preserve and understand its legacy. You get to travel with Nif and Sherin during their adventures, but you'll also be present alongside the past and future archeologists who are driven to solve the puzzle of their existence. To make BREATH an amazing, immersive, world-building experience, the novel will need original art work, award-winning editorial direction and design, plus vintage photography from some of the greatest archeological expeditions the world has ever known. And you can help make that happen, and get some fantastic rewards, too. Not only swag like printed copies of the book before it’s available to the general public, but BREATH posters, a limited edition book of BREATH artwork and photography, and even personal story consulting worth hundreds of dollars. 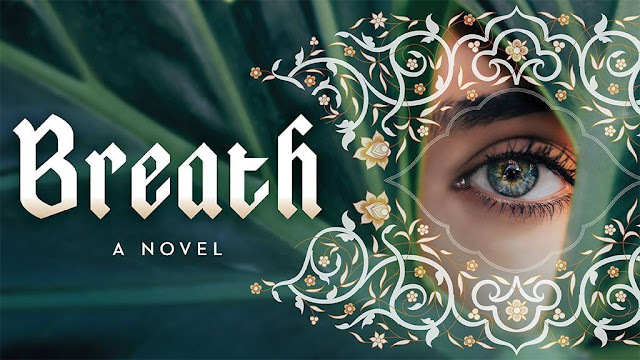 Just click on the link to my Kickstarter campaign, watch a video or two, and read about the incredible potential to make BREATH unlike any other epic historical romance you’ve ever read or even imagined. If BREATH moves you, contribute to my campaign. Readers want and deserve a story experience that is as visually stunning as it is soul-stirring. A poetry of words and pictures that doesn't merely introduce them to a story, but draws them into a whole world of passion, adventure and intrigue with characters who come to feel like family. With your support, BREATH will become a story you can't do without. One of the three things you'll grab and save if you ever have to run out of your burning house in nothing but your underwear. Victoria Dougherty is the author of THE BONE CHURCH, THE HUNGARIAN, WELCOME TO THE HOTEL YALTA and COLD. 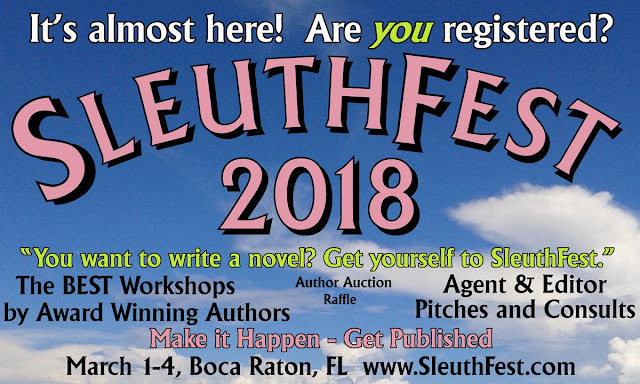 A writer and consultant with Dougherty Dialectic since 2001, she has ghost-written articles, speeches and testimony for Fortune 500 executives, and taught multiple seminars on writing. Her journalism and essays have been published in the Chicago Tribune, the Prague Post, and the Sunday edition of the New York Times. Victoria has also written, translated, and produced television news segments and video scripts. 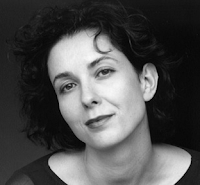 Earlier in her career, while living in Prague, she co-founded Black Box Theater, translating, producing, and acting in to sold-out audiences in several Czech plays – from Vaclav Havel’s “Protest” to the unintentionally hilarious communist propaganda play “Karhan’s Men.” Black Box Theater was profiled in feature articles in USA Today and numerous European publications. Her blog – COLD* (www.victoriadougherty.wordpress.com) – features her short essays on faith, family, love, and writing. WordPress, the blogging platform that hosts over 70 million blogs worldwide, has singled out COLD as one of their top Recommended Blogs by writers or about writing.